Through TNR programs, stray animals are humanely trapped, spayed/neutered and whenever possible returned to their original owners or released. Responsible pets owners should do your part to spay or neuter your pet, or the strays in your area to prevent unwanted litters of puppies and kittens. 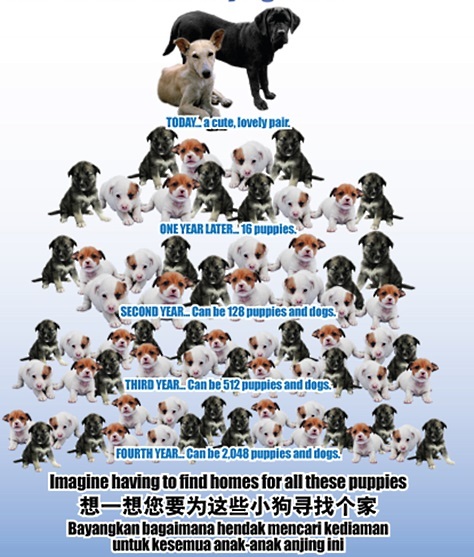 This will reduce the number of animals being abandoned or killed. 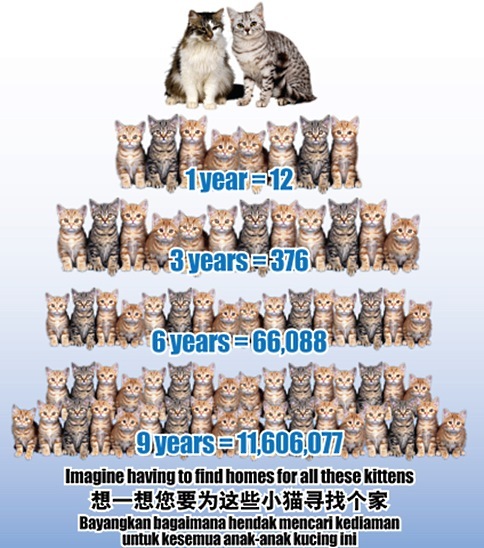 Spaying and Neutering of pets is the best way to control over-population and associated problems. Thousands of stray pets face euthanasia or are suffering on the streets, so please neuter your pets and help prevent this problem. Reduces the risk of TVT (Transmissible Venereal Tumour), a sexually transmitted disease. To make an appointment to neuter you pet or stray, please call SPCA Sandakan or take your pet to the nearest veterinarian.